Borochovist ideology is at present being exhumed by the Zionist propaganda machine. A whole network of Zionist emissaries and functionaries are busy Printing Baire Borochov's works in several European languages, writing their own exegesis on these works and diligently spreading the rehashed gospel among young Jews throughout West Europe and the Americas. At first sight, this is rather strange; for, after long stagnation, decline and decay, Borochovism years ago ceased to exist as a living political force in the Zionist movement. In Israel, the Borochovist party Po`aley Tsion Smol (Workers of Zion, Left wing) ended its existence in 1948, when it combined with two larger - and non-Borochovist - factions (Hashomer Hatsa`ir and Le'ahdut Ha`avodah) to form a united left-Zionist party, Mapam. For the Borochovists this meant complete capitulation in the field of theory, as well as total organizational liquidation. 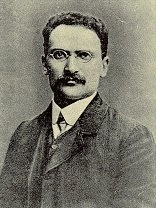 The programme adopted by the newly formed Mapam was not based on a compromise between Borochovism and other left-Zionist ideologies, but was simply non-Borochovist.